Thanks to a strong economy, Dallas has enjoyed a steady influx of educated professionals, young families, corporations, entrepreneurs and more. With a temperate climate and distinct culture, Dallas ranks high on leading livability indicators, including educational choices, access to medical care and overall quality of life. Intesi! Resources provides DiSC® Profile Assessments for a broad range of needs, each designed to optimize opportunity within the greater Dallas region. 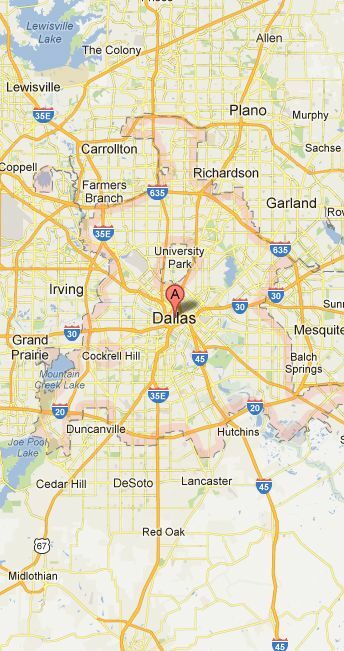 Dallas is the 9th largest city in the United States, and the 3rd largest in Texas, with a population of over one million people. The city’s growing economy is illustrated by the fact that Dallas has the nation’s 4th largest employment market, behind only New York, Los Angeles and Chicago. A rich academic heritage makes Dallas a sought-after location for top students, professors and intellectuals. The city and surrounding area is home to University of North Texas at Dallas, Southern Methodist University, the University of Texas Southwestern Medical Center and many more. By taking a DiSC Profile, an incoming Dallas student, postgraduate candidate or tenured professor can maximize their interaction with colleagues, researchers and more. A DiSC Personality Test for Dallas supplies useful data. This information helps to improve communication skills, leadership qualities and other key interactions. A DiSC Profile is perfect for job hunters, companies, non-profits and other organizations in Dallas. Optimize your experience in the Dallas marketplace – order a DiSC Profile Assessment today. 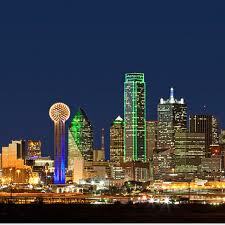 The Dallas economy features a diversified, well-rounded base of companies. The city’s strong corporate culture is buttressed by significant firms in many fields, including energy, transportation, computer technology, banking, commerce, telecommunication and more. By using a DiSC Profile, Dallas employees and employers can leverage key behavioral aspects for professional and personal success. Easy to use and powerful when implemented, a DiSC Profile Test offers Dallas companies crucial feedback to assist in recruiting - hiring - promoting existing and potential employees. When combined with an EPIC Account, companies will have access to additional tools to further their assessment needs. Impressive companies such as AT&T, Blockbuster, Texas Instruments, Dean Foods and Southwest Airlines are proud to call Dallas home. This is only a partial list of the city’s corporate juggernauts, which include many Fortune 500 firms. With such a strong lineup of desirable firms, both job hunters and employers use DiSC Profiles in Dallas for interviewing, hiring, recruiting and more. DiSC Profile Information is available for your specific professional requirements. Whether you’re looking for a general work assessment, a management evaluation or sales strengthening test, Intesi! Resources has what you’re looking for. DiSC Profiles in Dallas offer many benefits: optimizing sales relationships, enhancing teamwork, resolving conflict and more. Dallas is a popular destination for upward-mobile professionals, and our DiSC Profile Information is a crucial tool for understanding how your personality fits in such a dynamic, competitive environment. Intesi! Resources offers comprehensive assessments, available in convenient online formats. Thus, anyone in Dallas or north Texas can take the test in their home of office. Discover why Intesi! Resources has earned a reputation as an expert DiSC Profile provider in Dallas and other major urban areas. Intesi! is an Everything DiSC Wiley Authorized Partner. Our DiSC Profiles come in varied formats for specific requirements, and our never-ending research has created behavioral tests that adapt to our ever-changing times. Now that you realize how a DiSC Personality Test in Dallas is so valuable, why not take the next step? Our friendly customer service team can be reached at 866-3INTESI (866-346-8374). Plus, we have an email message portal on our contact page. We’d love to hear from you – and thanks for considering Intesi! Resources.